HORSCH hadde en omsetningsvekst på 12% fra 2017 til 2018. 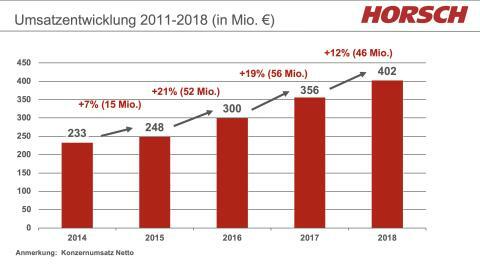 In 2018, with 402 million Euro the HORSCH Maschinen GmbH achieved the highest turnover in the company’s history. This is a two-digit growth for the third time in a row. There are many reasons for the 12% increase compared to 2017 (358 million Euro). HORSCH continues to carry out considerable investments at all sites, in the sectors service as well as R & D. In all sectors, HORSCH still consequently follows its strategy of putting the focus of all activities on the customer. This applies to the sectors tillage and seed drills as well as for the sectors plant protection and harvest logistics by on the one hand including more innovations in the machines, but on the other hand also by allowing for a more and more individual configuration of the machines for the different markets. Together with a perfect service and excellent sales partners this guarantees that any client all over the world gets exactly the machine that meets his specific requirements – for example with regard to soil, country, climate or working width. Scandinavia developed wellThe export rate constantly amounts to 81% whereas in Germany, too, the turnover increased. The Eastern European countries contribute 50% to the turnover with a still outstanding sales result in the Ukraine. In Western Europe the turnover amounts to 23% with a turnover plus of 35% compared to 2017. In 2018, markets like France, Great Britain, but also Scandinavia developed extremely well. The remainder results from the worldwide activities where mainly the USA, Brazil and China contribute to the turnover success. And it continues to rise – a fact that can be put down to a continuous development of new markets respectively the own production and the sales start in Brazil. 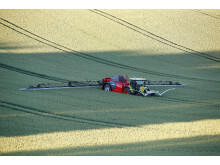 In general, all product groups are generating a plus, the plant protection sprayers and the single grain seed drills become more and more important on the market. 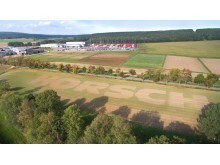 At the Agritechnica show in November, HORSCH will not only present innovations in the current product segments. For the first time, the focus will also be on technologies for hybrid farming that combines the best of organic and conventional farming. So the customers can expect information about mechanical population management and further innovative solutions. The tests in these sectors that are partly carried out on our own test farms are very promising for a market launch at the time of the show in Hanover. The pressure from society forces the farming sector to change and in this respect hybrid farming will be an approach for the future. For a lot of customers HORSCH due to its innovative technology in the meantime has become far more than just a supplier of machines. In seminars and for example in the customer magazine terraHORSCH they also provide agronomic knowledge. With technologies like apps, Internet of Things technologies or the grain singulation system SingularSystem (awarded the Golden DLG Seal of Approval for the working quality) HORSCH more and more becomes a solution provider for modern and sustainable production of healthy food. The number of employees currently amounts to 1,600 all over the world. To satisfy the increasing demand for our products in all sectors, we are investing heavily at all German sites – a record sum of about 30 million Euro. At the production site in Ronneburg a completely new hall was finished and at the plant protection site in Landau the capacity was almost tripled. The largest investment in the company’s history is made at the headquarters in Schwandorf. This investment alone amounts to 23 million Euro. Despite the difficult climate conditions, especially the drought in certain markets, in 2018 the turnover developed excellently. This, however, is exactly the reason why in 2019 the management sees further challenges for the agricultural engineering sector although the development at the beginning of the year has been quite positive. 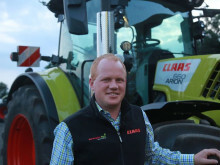 Norwegian Agro Machinery står for importen av CLAAS traktorer og høstemaskiner, samt redskaper fra merkene LEMKEN, MULTIVA, HORSCH, BOGBALLE, GÖWEIL, CONOR, SAMSON, STARK og SNOWLINE. Norwegian Agro Machinery er et datterselskap under det danske felleskjøpet Danish Agro. Hovedkontoret på Gardermoen skal samle de nasjonale aktivitetene i selskapet. Altså slikt som import, markedsføring, produktstøtte, serviceorganisering og reservedelshandtering. 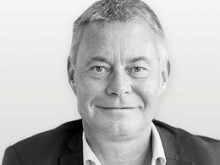 HORSCH er et tysk maskinfirma som produserer jordarbeidingsredskaper, såmaskiner og åkersprøyter. I juni 2017 overtok Norwegian Agro Machinery distribusjonen av HORSCH produkter i Norge. Før den blir publisert, må det være godkjent av Norwegian Agro Machinery.